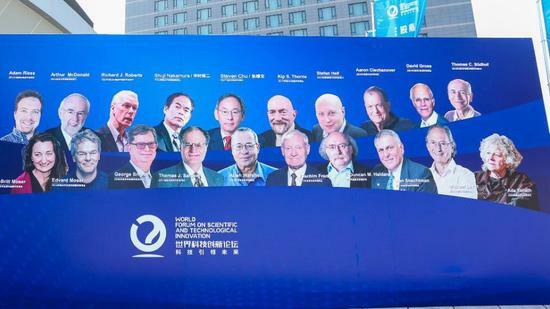 Twenty Nobel laureates in fields ranging from physics, chemistry and medicine to economics – including Steven Chu, a former U.S. Secretary of Energy and the 1997 Nobel prize winner in physics – gathered at the World Forum on Scientific and Technological Innovation in Beijing on August 10. The three-day forum was organized by Houyi Holding and Caijing Magazine. It is the first time that such a large number of laureates have been invited to China to share their wisdom and insights on hot topics worldwide at one event. The forum itself, whose theme this year is "Sharing Global Wisdom, Leading the Future of Science and Technology," features eight panel discussions and sessions from the big picture of "life and universe," "science and humanities" to some specific fields like smart cities, cloud computing, artificial intelligence and biotech. Let's have a look about what scientists have said during the panel sessions. The separation between science and humanities can be dated back from the beginning of civilization. Distinctions between soul and body, spirit and matter were evident during classical and medieval times. It was only in Renaissance that the light of a new scientific culture started shining with a tendency to prove that the power of knowledge and the power of science are able to improve people’s living conditions. At Friday’s panel discussion, both Thomas Christian Südhof, the 2013 Nobel laureate in physiology or medicine, and Joachim Frank, a 2017 prize winner in chemistry emphasized the important role science plays in the evolution of humankind. Professor Frank, the founder of single-particle cryo-electron microscopy (cryo-EM), explained how his research helps doctors solve the modern diseases, as well as the significance to future treatment. “Many structures of molecules were impossible to study and analyze, but with the help of technological advancement, the amino acid can be clearly visualized, which means more effective drugs targeting the non-curable diseases can be developed,” he told the audience. 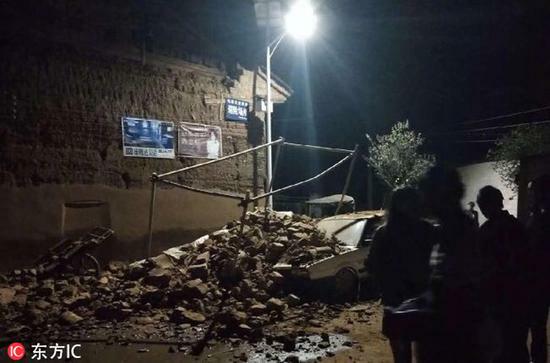 Speaking of disease, Frank also mentioned the uncontrolled illness brought by climate change and natural disasters, which is another concern threatening the whole world. “Science now is facing the problems which are out of control, like floods, droughts, etc. So science may gradually develop as a problem-solving- driven discipline." In Thomas Südhof’s eyes, science is first a discipline that answers basic questions instead of solving pragmatic problems, a view that shows how he distinguished science from engineering. He believed that the former is to deal with those fundamental challenges, while the latter is more product-oriented. But unfortunately, no matter in China or the United States, the link between the two is ever blurring. “Science should be independent before applying to the engineering and should be the discipline pursuing the pure facts. Scientists need to maintain their original thoughts, which is important for keeping the value and future achievement,” he said. For scientists, winning a Nobel prize means their lifelong careers and their huge contributions were recognized by the whole world. The prize has become a shorthand for greatness, so when asked how to earn it, Professor Südhof gave his answer by highlighting the role of basic research, an area that will lead you to translate things in unexpected ways. On top of that, curiosity and thirst to understand new things are equally crucial, he said.